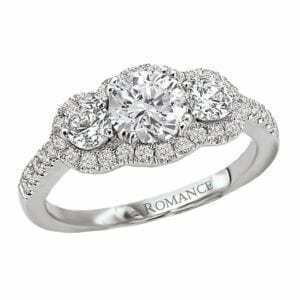 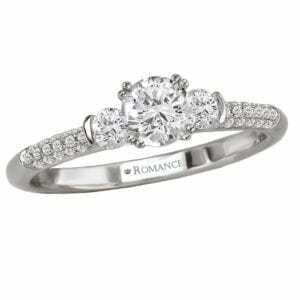 An embellished engagement ring with intricate metalwork and princess halo. 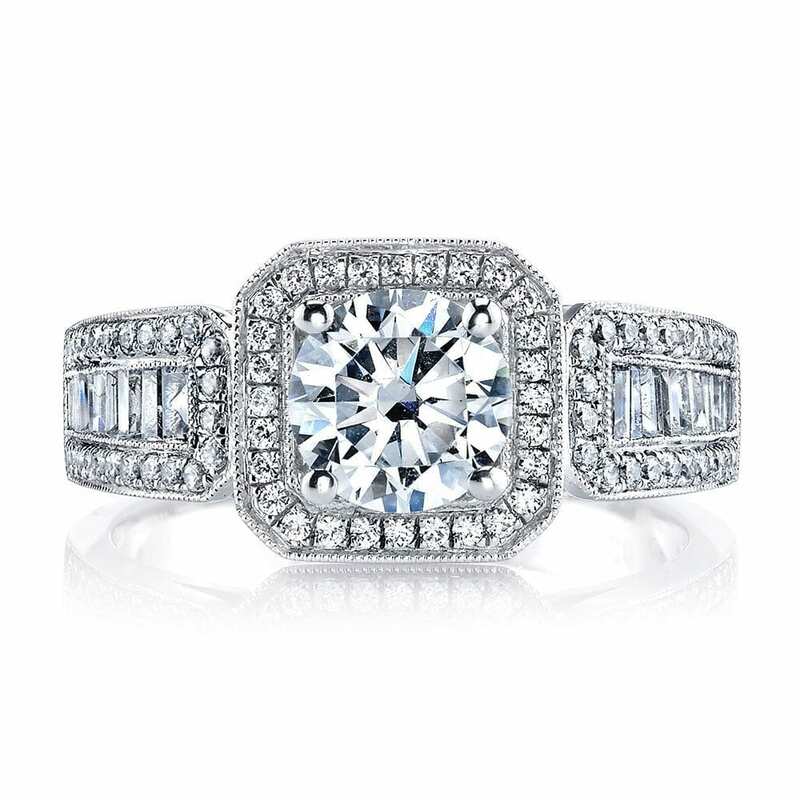 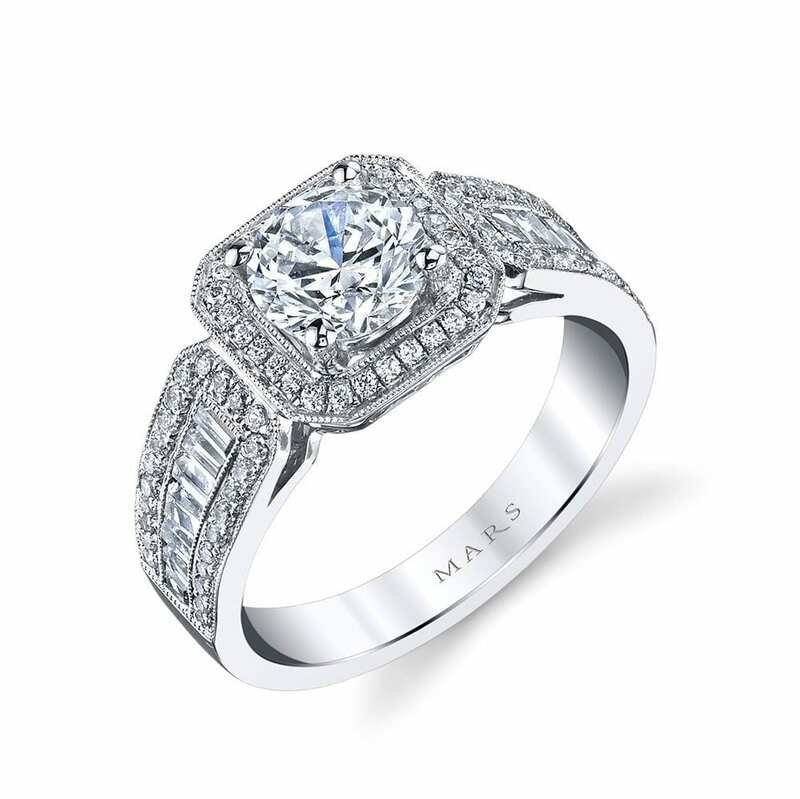 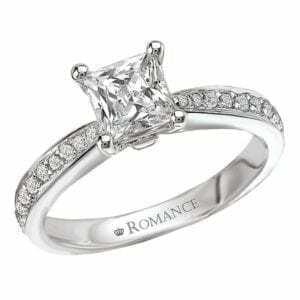 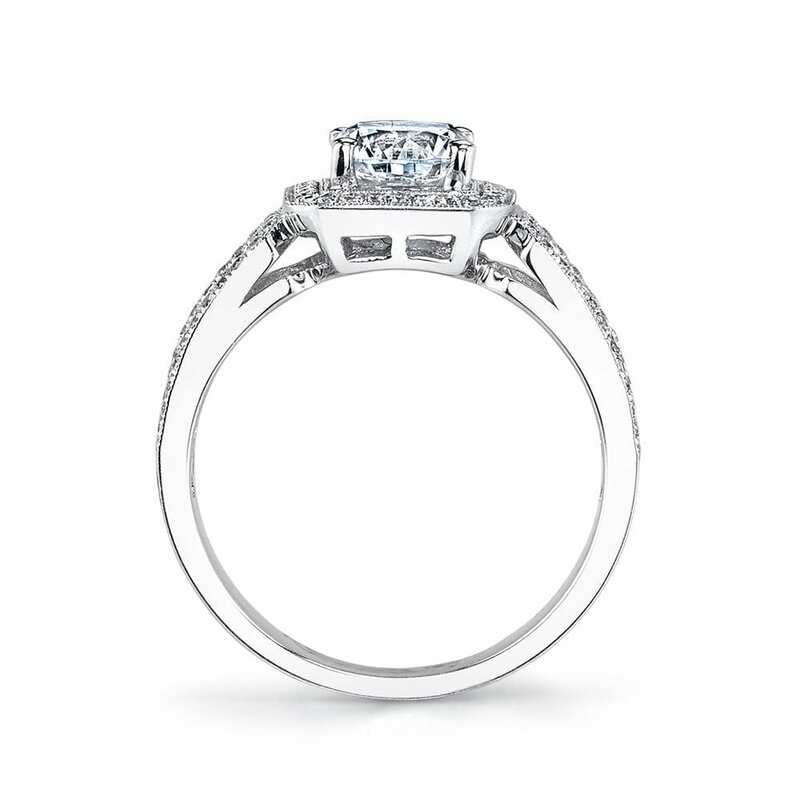 This engagement setting features a: Princess Halo; Baguette Side Stones; Milgrain Detailing. 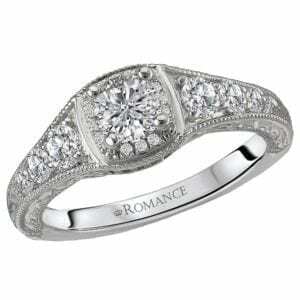 Shown in White Gold with 0.65 ctw diamonds. Price does not include Center Stone.